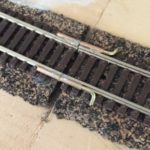 Fences are everywhere and if you want your model railway to look realistic you’ll want them on your layout. Here’s a how to make fences yourself for little more than the price of box of matches. Look around you. 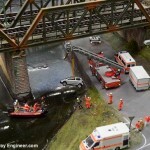 Now take a look around railway lines. No matter where your eyes land you’ll see fences. 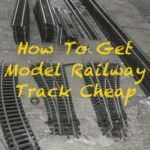 Aside from barriers around commercial properties and garden fences, railway lines in UK should be protected by fences so if you’re modelling the modern era you’ll need fences on both sides of pretty much every section of track. For those interested. The original line side fencing legislation was laid down in Section 68 of the Railway Clauses Consolidation Act 1845. Regulations require UK railways to have borders and fences – with 20,000 miles of track, 40,000 bridges and tunnels and 6,300 level crossings that’s a lot of fences! Ready-made fences however are expensive. 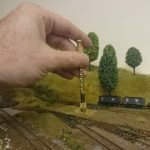 I bought 36 lineside fence posts and wire (Ratio Models 423) for just under a fiver. For a reasonable sized railway this will quickly mount up to a considerable spend. But there is an alternative. With a little creativity, it’s possible to scratch build or make very credible wire fences yourself – as seen in the picture right. And even better, it’s pretty easy and much much cheaper than buying the ready made variety. Essentially, it’s the cost is a box of matches and some metal looking thread. Don’t believe me? Watch this video and have a go yourself! This post covers making post and wire fences but other forms of border fencing can also be hand made. Here are a few resources for ideas, inspiration and to help you along. 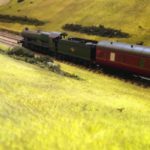 And finally, for those creating rural railway scenes, here’s a crisp 7 minute guide to creating wattle fencing – ideal for farms and villages. Still here? Stop sitting on the fence and get making. 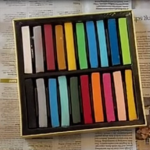 In your video make fences fr the price of a box of matches, what drill and bit did you use, and where did you buy it, or do you know where I can get one similar? And where would I be able to purchase the wire. Hi Laurie, nice to hear from you again and great question! Personally I use an Archimedes drill with a .8mm bit although the precise size depends on the wire/string you use. This works with the matches I have although I guess there maybe thicker matches available for which larger diameter drills could be used (do matches have a universal size?). This set – http://mre.one/2k2kCd6 – should be fine. 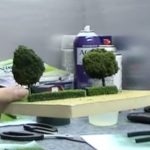 Hi Andy, watched you video really good idea, what scale was this for please? 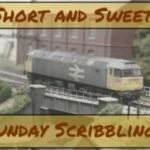 I’m fairly new to railway modelling & am working in n gauge. 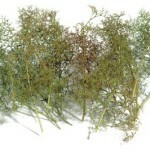 Hi Chris, this is for OO but if you sliced the matches and cut them down in length it should work for N as well.